Last night saw the world premiere of a compelling, heart-wrenchingly moving 45 minute documentary film executive produced by the Canadian HIV/AIDS Legal Network that tells the intimately personal stories of four women living with HIV in Canada. 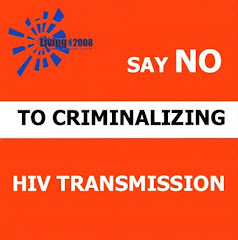 It argues that the current legal situation which criminalises sexual behaviour between consenting adults and discriminates against those living with HIV is irrational, ineffective and unjust. Claudia, a Latina woman who describes the challenges of disclosure and intimate relationships for women living with HIV. Legal experts, doctors, counsellors and support workers also appear in the film to complement the women's stories and to challenge current Canadian legal practice that is oppressing the very women they are meant to protect. 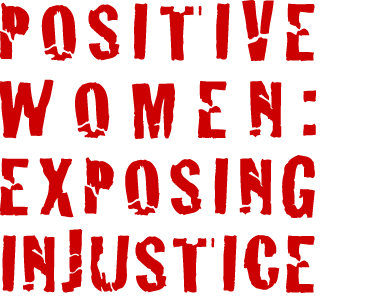 Anyone who believes that HIV criminalisation protects women needs to see this film. It will next be screened in Washington DC at the International AIDS Conference on Thursday July 26th in the Global Village Screening Room from 18:00-19:00. The screening will be followed by a question and answer session.